Tabletop gaming is more fun than ever! Come join old friends and new for a fun-filled, adult evening of mathematically rich, hands-on games. 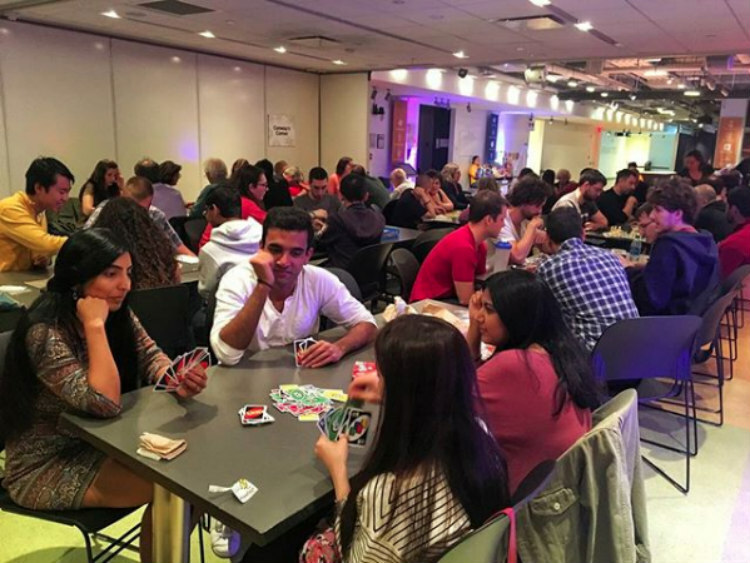 Enjoy classics like Yahtzee and chess, modern options from Laser Maze to Pyramid Arcade to Lost Cities, and even MoMath's own twist on mathematical favorites like Hex and Nim. Bring a snack, play some games, and connect with new and interesting people, all while enjoying the unique evening atmosphere at the nation’s only Museum of Math. Tickets are available online via the registration link below. Note that tickets purchased at the door will include an additional $5 fee.